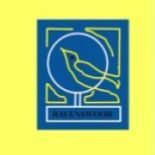 At Ravenswood Primary School, in partnership with parents and carers, learners and partner agencies, we aspire to get it right for every child through our caring approach and high quality learning and teaching. Our school is a community where children’s rights are learned, taught, respected, protected and promoted. We create an ethos which ensures a positive, respectful and stimulating environment that nurtures every child towards reaching their full potential and enabling them to have the skills and confidence to make a positive contribution to the world in which we live.